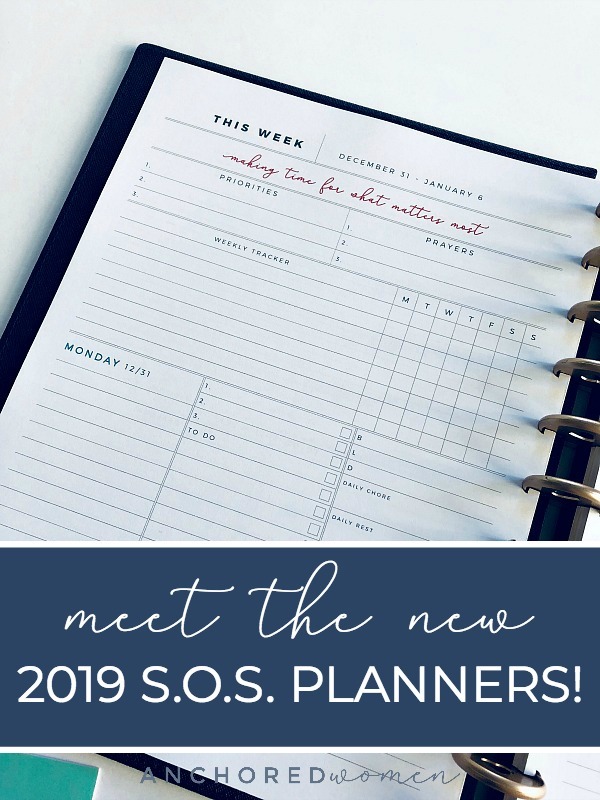 This week we’ve talked about preparing our hearts for the school year, simplifying all the papers that come home from school, and syncing our schedules using a calendar system that covers all your bases. It’s been a fun week! But I think today might be my favorite day, because we get to talk about Snack Stations!! I realize that MIGHT seem less exciting than it sounds, but just you wait. Once I explain how it will revolutionize the way you pack school lunches, you’re going to love it too!  Last year, after packing a zillion school lunches for kids who are totally capable of packing their OWN lunches, I decided that I just wasn’t really going to do it anymore. Instead, I set up a system that the kids can manage all on their own. 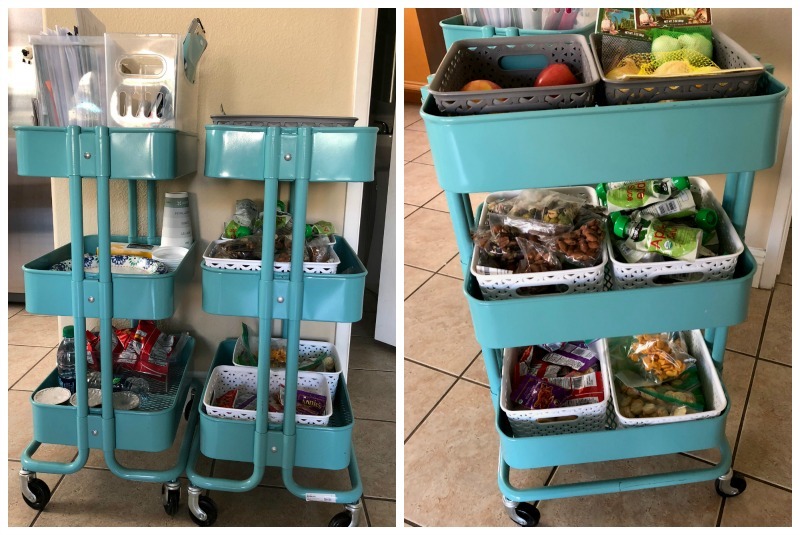 We’ve got a rolling cart in our kitchen where I’ve set up a snack station in three levels. The top level is made up of super healthy options, the middle level is pretty healthy options, and the bottom level is less healthy options. Top (super healthy): This is all fruit. Apples, bananas, oranges, plums, nectarines – fruit that’s easy to pop into a lunch pail. Middle (pretty healthy): This is general some variety of fruit or veggie based products. Applesauce, veggie sticks, yogurt covered raisins, and even the healthier versions of granola bars. When I bring home groceries, the kids help me split up the snacks foods into individual serving sizes using these ziploc bags, and sort them into the snack station. When packing lunches, the kids MUST choose at least one option from the top and middle levels, and can also choose one option from the bottom level. I prep peanut butter & jelly (or honey) sandwiches once a week, on sourdough bread. If you put peanut butter on BOTH sides of the sandwich (insides, of course! ), they freeze really well and the bread doesn’t get soggy, even when they defrost. The kids grab these out of the freezer each day and put them into their lunches as well. They are completely defrosted and all ready by lunchtime! If you go to a nut-free school, you can pack homemade lunchables at the beginning of the week and keep them in the fridge! Sliced meat, cheese, and crackers in these containers can be such a treat for your kids! Plus, you can prep them once and they can grab them each morning to put in their lunchbox. Bonus: Our Meal Planning Wall! On top of our snack center, we keep a list of our weekly meals AND meal options on the wall by our fridge. Here we keep a running tab of what’s in the fridge, what we need from the store, and what we need to make (things we have the supplies for). 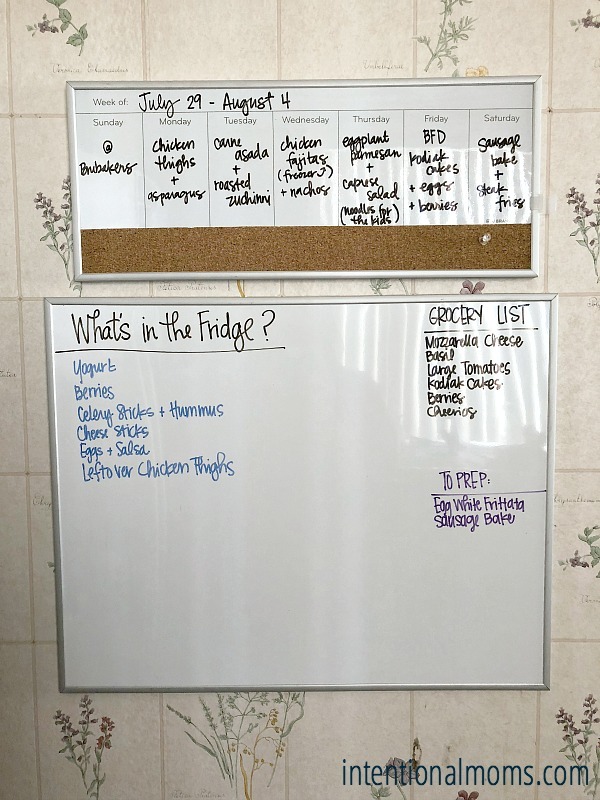 This list also helps our kids know what’s coming up for dinner, AND gives them some lunch options that live in the fridge, instead of the snack center. Shifting to a system where the kids can easily pack their own lunches has revolutionized our school mornings. We’re ALL less stressed (because mommy is less stressed, let’s be honest), we save a ton of time, and we all get out the door in significantly better moods. 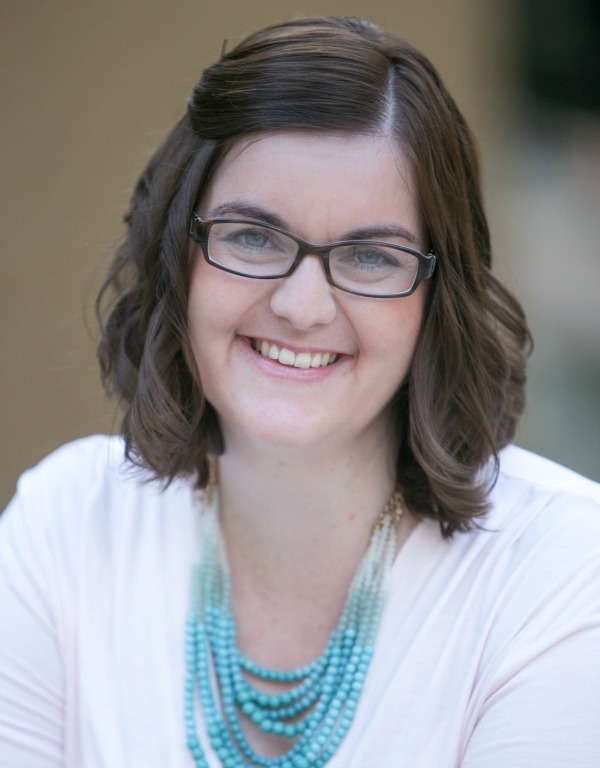 Also, ALL these options work great for homeschoolers too! Momma, you don’t need to be prepping food all day. Let your kids get their own lunches ready, and grow in responsibility! 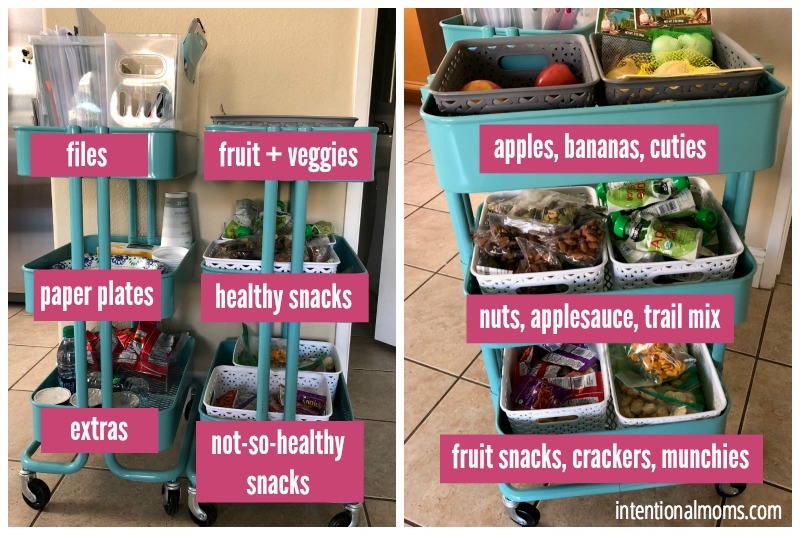 What do you think about the Snack Station & Lunch Prep? How do you simplify lunches during the school year? Want more ideas for meal prep? You’ll find both monthly AND weekly meal planning pages in our Organized Life Planner! Find the layout that fits your life best right here. Download your FREE meal plan + shopping list! 31 dinners from Costco, for under $300 total! Tell us where to send your free meal plan + shopping list! Great ideas for helping kids be more responsible! Where did these carts come from? I love them! IKEA! They are called the Raskog. I think you can find them on amazon too. I love the snack station and lunch prep. I no longer have children living at home but have a “town” job and I prep my lunches so I too can just grab and go. It makes things so much easier in the mornings and I don’t have to pack a lunch every night when I get home. THank you so much for sharing. I like the snack cart. I have been struggling with having food in the open, but maybe it is just st ok! I was contemplating buying school lunch passes, but I going to give this a try!